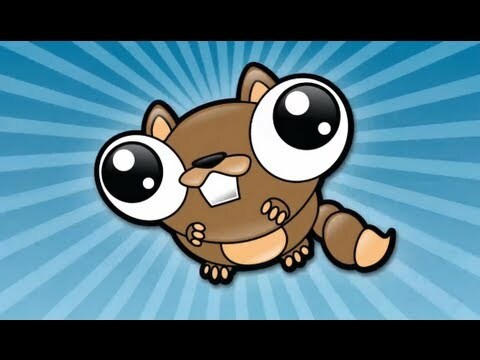 Noogra Nuts is a cool Android arcade game, where you control a cute little squirrel with a unique ability; he can crack nuts, using its head! Using the accelerometer you can control its movement and pressing anywhere on the screen will make him jump. While playing the game, nuts will start falling from the sky. Each nut that the squirrel head-butts will start cracking and give you points. Once you crack a nut open you can eat it and get more points. Check out the SHOP for buying cool hats that give special abilities to the chipmunk! ● Classic mode - You have 120 seconds to achieve the best score. ● Jungle mode - You have 120 seconds to achieve the best score, avoid eating the rotten nuts and jump over the rolling rock, otherwise you'll die. ● Survival mode - Unlimited time, but if you get hit three times, you die. Avoid the falling rocks and jump over the tumbleweed, try to survive and eat as many nuts as you can. Life in the hot desert is tough!